As a new entrant into the already crowded space of e-sourcing during a major economic downturn, it certainly makes for interesting times. After persevering though our first year, we can see many factors actually in our favour (and of course many against, but let’s focus on the positives). 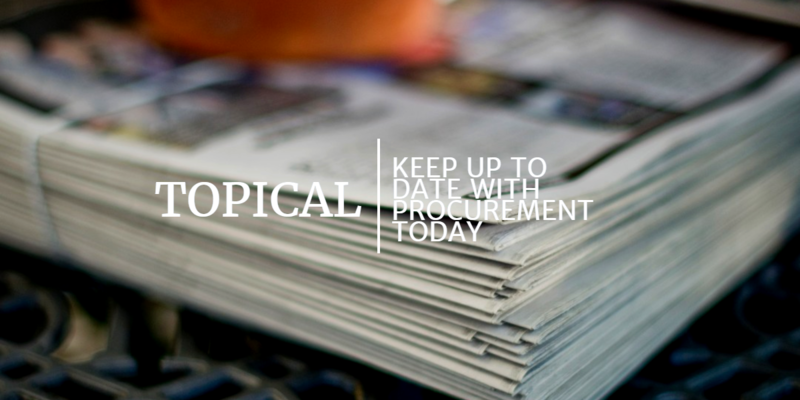 First, procurement continues to gain visibility within organisations, as we know that an efficient procurement strategy can mean the difference between profitability and receivership. Having been both an engineer and a buyer, it is pleasing to see these professions gaining more traction at a board room level, although still maybe not as much as we’d have liked. Lastly, we perceive a paradigm shift in the e-sourcing market, which is why we chose to develop a SaaS (Software as a Service) application. As an aside, in our opinion, SaaS is just a re-branding of the type of companies formed during dotcom boom, except this time the internet infrastructure can cope with the delivery of their benefits. The last fifteen years have definitely seen procurement technology come on leaps and bounds. It has evolved from pipe dreams to disparate applications to fully integrated ERP systems. These have been traditionally maintained by the local IT team and supported by a host of consultants with each required change to the interface or operating system costing the better part of an arm and a leg. The shift that we thought we were predicting was the shift of this technology to online hosting, coupled with the rapid application of these e-Sourcing solutions to the SME and mid-tier market. In many ways we believed we were looking at the commoditisation (or “consumerization” as we learned to call it in the US) of the technology, embedded with more intelligence yet easy to use, professional and openly priced. We had thought that the larger companies were sewn up with the ERP behemoths who, even as we speak, are slowly moving to online hosting by development and acquisition. Parallels could also be drawn to the dotcom boom here, where large multi-nationals swept up the few successful e-providers who survived the bust bubble to give them that dynamic edge. However, we seem to have got it wrong. We were too early — although we have found that being ahead of the curve is not such a bad thing. What we have hit upon is a lot of interest from large tier one companies desiring a simple, online, and accessible solution which can be used in parallel with or sitting on top of their existing ERP solutions, even if those systems already contain e-Sourcing modules. This is most certainly due to the slower reaction speed and migration period to true SaaS solutions exhibited by the larger providers. What is the reason for this? Our view would be the need for accessibility and easy adoption. Niche SaaS providers offer uncomplicated, pay-as-you-go products that are easily accessible and have been designed with the end user in mind to deliver very focused solutions. In our case, it is to provide in-house sourcing professional tools for e-RFQs and e-Auctions which can be switched on and off with no implementation costs and very little training. Obviously the large providers are adapting, trying to catch up with different pricing models to counter the competition from the smaller, more nimble SaaS providers. Ariba has demonstrated this most recently with their “free” license option. However, the change in the way software is being delivered, combined with the customers desire for an uncomplicated product, at least lets us put our foot firmly in the door and, in the end, we still have the small and medium tier to approach. All in all, interesting times.